Along with the North American Escape, this model represents Ford in the segment of compact crossovers. It is in production for more than ten years and we have seen two generations. While the original version was in production for less than five years, the current model has been around since 2012. It looks like it is a perfect time to see a complete redesign. The new generation has been in an advanced stage of development and the testing model has been spotted as well. 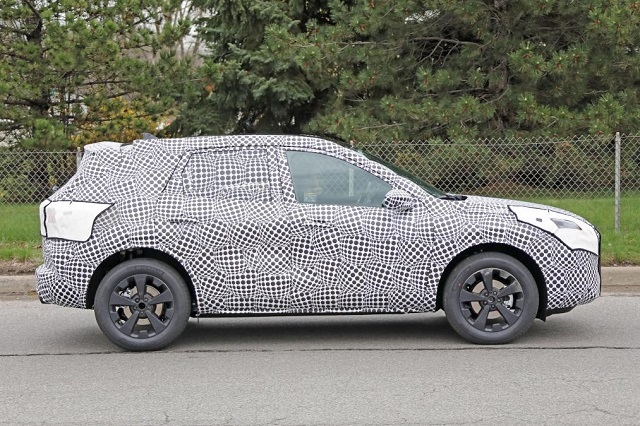 Of course, it is still completely camouflaged so we can’t talk about more specific styling details, but we definitely know some of the design characteristics that will characterize the 2020 Ford Kuga. Of course, this primarily refers to a platform, which will be shared with the Focus once again. Also, count on similar interior layout and technologies. The new model should hit the market sometime in the second half of the year. The upcoming redesign is about to bring a lot of interesting novelties. The 2020 Ford Kuga will come better in many ways. Still, we won’t see some radical changes, either in terms of aesthetics nor in terms of mechanics. Of course, we will see a new platform. Once again, the Kuga will share most parts with its compact sibling Focus. A new platform will provide better driving characteristics, although we must say that even the current model delivers pretty good driving dynamics, better than most competitors. In terms of the size, the new 2020 Ford Kuga will remain quite familiar. We are about to see just a minor increase. Count on something like one more inch to the wheelbase and slightly more to the overall length. On the other side, changes in terms of height and width will be minimal. In terms of aesthetics, we are pretty sure that the new 2020 Ford Kuga will share the same design language with the new Focus, particularly the hatchback version. In practice, this would mean pretty much the same front end, which is based on the company’s latest design philosophy. At first glance, many will find a lot of similarities with the current, facelifted version. Still, headlights have been slightly reshaped, as well as the grille. Also, there is a new front bumper, which is characterized by much sharper air intakes and fog lights. The overall shape won’t be much different compared to the current model. Once again, count on a body style that is practically a hatchback layout with raised suspension. 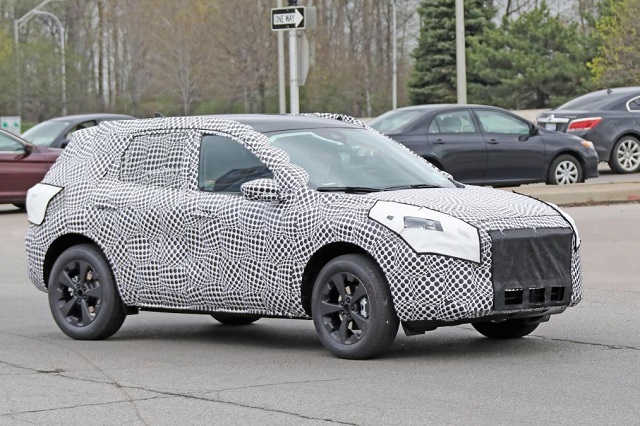 In order to gain more SUV-ish appearance, it will also come with typical black plastic panels, which resemble underbody protection and give a more rugged look. This aspect is probably the easiest to predict at the moment. We have no doubt that the 2020 Ford Kuga will feature almost identical interior design as the Focus. When it comes to the dashboard design, it will feature a rather conventional layout. Most drivers will appreciate the fact that most controls have remained analog. Of course, a tablet-like touchscreen will be combined with these physical buttons. All in all, this combination should be super convenient. The instrument cluster will also be largely analog and we have no doubt that many drivers will appreciate such an approach. Considering that the new model won’t be much bigger than the current model, We count on a similar amount of space on the inside. So, count on two quite spacious rows of seat, as well as pretty generous cargo space. If seats are the same ones from the new Focus, count on a good comfort and a lot of support. When it comes to the powertrain lineup, we still don’t know the exact details, but we may presume that most of the current engines will carry on. Therefore, base models should be powered with a familiar 1.5-liter EcoBoost with around 150 horsepower. A larger 2.0-liter unit, which currently comes in two power outputs, with either 180 or 240 horsepower, should carry on as well. Finally, count on a familiar 2.0-liter diesel engine as well, This engine current comes with several different power outputs. Pretty much all engines should come with a slight boost in terms of the power. 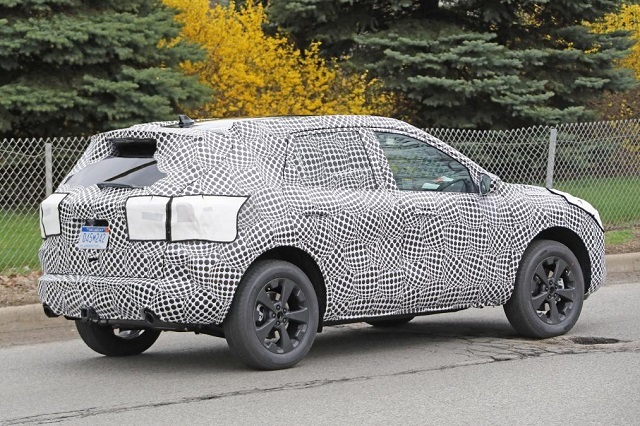 The 2020 Ford Kuga is almost ready to hit the market. Therefore, expect its arrival pretty soon. Latest reports suggest it will hit the market sometime in the second half of the year, most likely in the third quarter. When it comes to the price, we don’t expect bigger changes compared to the current generation. So, base models should go somewhere between 25.000 Euros, which transferred to dollars goes around 28.000 dollars. Key competitors will be models like Toyota RAV4, VW Tiguan, Mazda CX-5, Honda CR-V etc.